The Avenue is Sheffield's unique one-stop premier hair salon that has two enemies in its sights: Bad hair days and the ravages of time. We believe very strongly that if famous faces in glossy magazines can look sensational, then we can achieve much of the same - at a fraction of the cost. 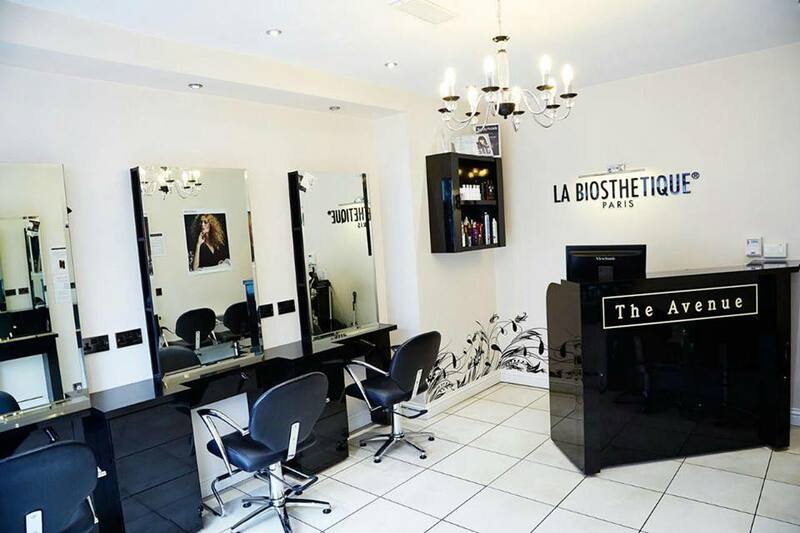 Combining expert hair care and the latest in aesthetic procedures including anti-ageing treatments, we pride ourselves in doing what others only dream about. Our ideal is to use all the tools we need to make you look your best. We make no bones about our core belief that looking good is a vital element for inner well-being, boosting physical and mental health. Whether it's an edgy new style a Shiatsu Head Massage, or a more traditional pampering, we indulge your every desire and need. Briony is a fantastic hair stylist, she has cut my hair many times and I was always very happy with the result. She's also very friendly and it is always fun having a chat with her. Lovely Salon and pleasant staff that are really attentive and knowledgable. I wanted to go from a blonde colour to a brown and my hairdresser spoke through a consultation with me to get me exactly what I was looking for, they were helpful and friendly and the end result looks brilliant! I booked in with a cut and style with Victoria. She was great to chat to and gave me a wonderful aromatherapy head massage to start off. I am really happy with the cut and I really appreciated the consultation. The whole experience was really relaxing and thorough and I felt like I was given a lot of time and not at all rushed. I also got a 50% discount as a first time customer, which made it great value too. I just got home from getting my hair cut at the avenue (i think by amy, sorry if ive just made that name up!) And its lovely :) they really take time to chat to you about your hair, you get a head massage as part of your treatment and to top it off they also give you free samples! Loving my new long bob with balayage colour treatment and beachy waves. Thank you so much Victoria! Thanks also to Briony for your words of encouragement. Always do a brilliant job with my nails and hair no matter who does it. Very good value for money and all staff are very friendly. Never had a bad appointment! Briony always does a great job with my hair, always have a laugh with her! Great salon with great prices and offers. The experience at the avenue is brilliant. You are looked after 100%.All the staff are so friendly and helpful. When you walk out the door you feel special which is why I keep going back again and again. Nice staff, plus great service! Really nice friendly staff which were really considerate about my faith whilst I was there. Amazing place went there to get my hair done for prom.No hassle, can do any type of hair -Very nice staff and orange juice aswell!! Always feel happy about the haircut after visiting the avenue! I enjoy every haircut at the Avenue. I like the atmosphere of the salon and the friendly staff. my hair no matter what the occasion. The quality of service in this salon is the highest I've ever experienced. Amy's professionalism and her genuine kindness made the radical chop I went for much less nerve-wrecking than I expected. Super happy with the result and with the experience! If you're looking for a hairdresser that truly listens and discusses with you what you're aiming for, and gives you tips on how to style your new hairdo afterwards - aka, one that knows what they're doing - then go for The Avenue. The experience was amazing and Hannah was so lovely and made me feel better even though I was unwell. Thank you for the wonderful experience got the style I wanted ! Was nice and easy to get the cut I wanted. I was served by Amy and she did brilliantly. Fully blow dried and curled my hair. Looks great. Thank you ! This is only my second visit to the Avenue but Bryony has always done my highlights perfectly, she has picked great colours as to make sure my hair doesn't look stripy or un-natural. All the staff are really lovely and making having your hair done throughly enjoyable! Friends staff, welcoming environment, clean and otganised studio. I wouldn't go anywhere else in Sheffield!